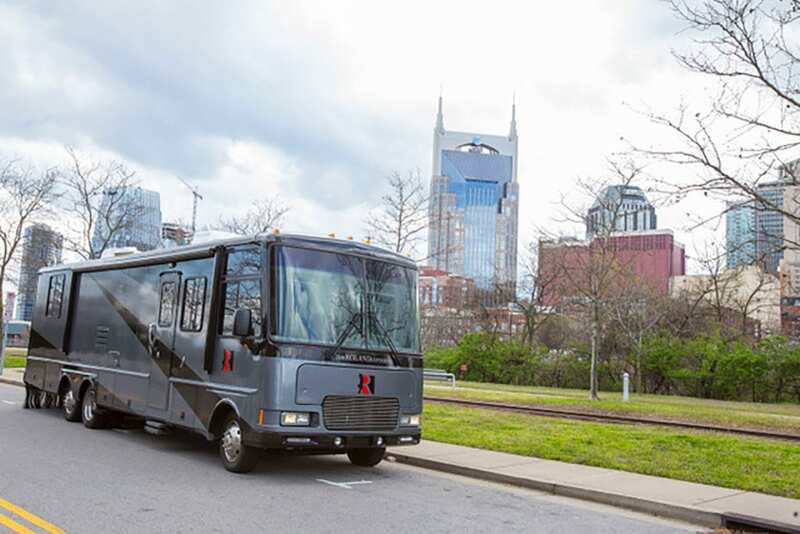 NASHVILLE, TN — You may see it on Interstate 65, Downtown Nashville or parked at Meharry Medical College. And if you haven’t seen it, chances are you will soon. The truth is, you can’t miss it! 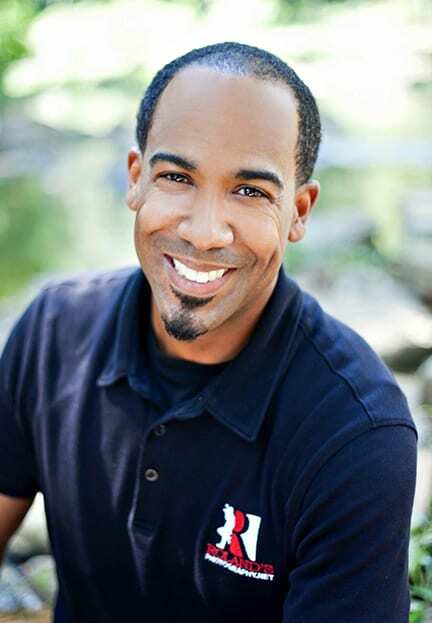 The Roland Experience has been a game changer for Emanuel O. Roland II and his thriving photography business – Roland’s Photography. Although most Nashvillians may know the brand Roland Photography, they were not aware of the owner’s first name – Emanuel. Quite simply, the Roland Experience is a motor vehicle outfitted for a modern photography experience. 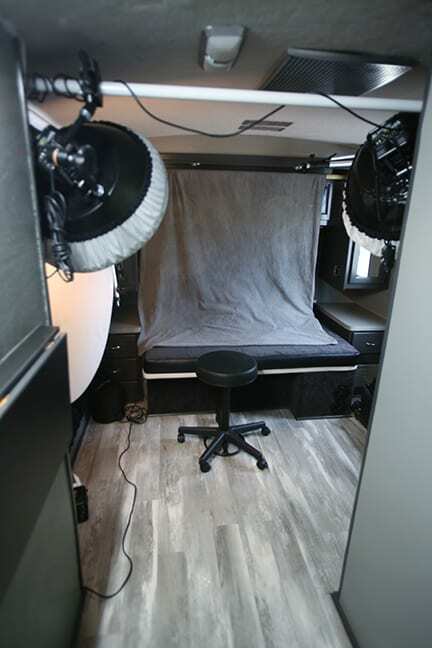 The mobile photo studio comes to clients and provides the convenience of a small lounge, consultation area, beverage station, changing area and full studio all in one. 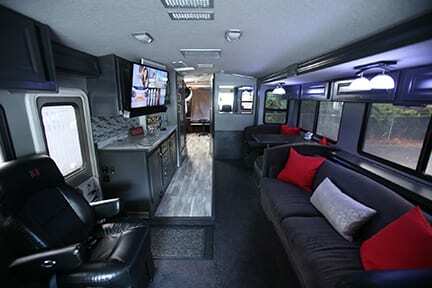 The motorhome conversion took more than 7 months and was an idea in the making for over 18 years. With clients like Meharry Medical College and Tennessee State University, Roland’s Photography has its eyes on becoming the premier and trendsetting photography business in the country. Being that there is only one other mobile photography bus in the US (with an online presence), Roland is well on his way to building a brand that sets the standard. It’s not necessarily a ‘Started from the bottom..’ story, but this Chattanooga native first planted his feet in photography as a student at Tennessee State University (TSU). As part of a junior elective, photography class sounded like an easy ‘A’ to Roland. What he found out was that this ‘A’ would uncover a passion that would give clarity and direction to his life going forward. Armed with a newly bought Canon Rebel camera, Roland looked forward to every photography class at TSU. Developing a rate sheet was key as classmates and friends asked for pics. As the word spread, Roland cultivated a consistent clientele and became the go-to photographer on campus. After college Roland worked for CEO Academy where he taught youth enrichment and entrepreneurship. “I felt like a hypocrite though because I was teaching kids how to become an entrepreneur, but I wasn’t one myself. I knew something had to change,” Roland says. The breakaway from a traditional job came when he realized job-related stress led him to the Emergency Room. Change was inevitable. He had just gotten married a few months before and had some wedding dates to shoot. And although clientele was abundant at first, Roland supplemented his income initially by substitute teaching and working for UPS as a supervisor. The grind began as most young startups do. Networking and hustling conversations to try and drum up business was the name of the game. His two big breaks came in the form of quality-nurtured relationships. The first was through a trailblazer in Nashville – John Girton – who ran a company called Mass Media. Roland had previously interned there while a college student. Through this relationship, Roland gained exposure as a freelance photographer which led to work with The Tennessee Tribune newspaper and Meharry Medical College. But a small pivot in strategy had to take place first. No longer wanting to be the premier wedding photographer for the Nashville African-American community, Roland developed a plan to address the photography needs in the corporate arena and within higher education.The plan went from doing 20+ wedding per year to 4-5 weddings with less stress and more profit. Corporate and University clients offered better and more consistent engagement which led to Roland pursuing his ultimate goal of The Roland Experience. The Roland Experience is like no other transit photography outfit Music City has ever seen. The full renovation of replacing flooring, complete new paint job, upholstery and installation of new studio lighting took about 7 months. This competitive advantage sets Roland apart and adds major convenience to his entire clientele. A simple photo shoot with several outfit changes becomes easy. There’s a full studio and changing space on the Roland Experience. Location shoots are easy too. Just start up the Experience and drive to the next location. Corporate or University clients no longer have to prepare space in their building for photo shoots. The Roland Experience simply arrives, while colleagues or students line up or arrive in groups to take their pics on the bus. This efficient experience saves time and money for the both the client and Roland Photography. It’s been 18 years so far and there are no signs of slowing down.